A fundamental question in the study of extreme events is whether during a rare and strong fluctuation a system exhibits phenomena that are qualitatively different from its typical behaviour. We answer this question quantitatively for the asymmetric simple exclusion processes (ASEP) on a ring, conditioned to an atypically large particle current or an atypical large hopping activity. We show that this classical problem is related to the integrable quantum Heisenberg ferromagnet. For strongly atypical fluctuations we show that the equal-time density correlations decay algebraically, as opposed to the typical stationary correlations which are short-ranged. 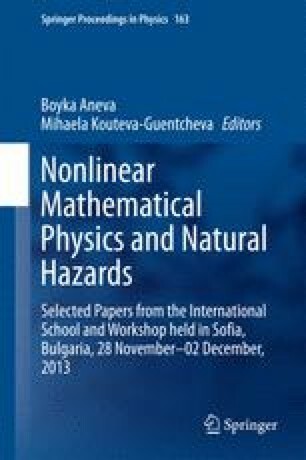 We compute the exact dynamical structure factor which shows that that the dynamical exponent in the extreme regime is \(z = 1\) rather than the KPZ exponent \(z = 3/2\) for typical behaviour. An open problem is the transition point from typical to extreme. Much of what is presented here results from joint work with V. Popkov and D. Simon to whom the author is indebted for many fruitful discussions. This work was supported by Deutsche Forschungsgemeinschaft.